I am Mahabaleshwar, a famous hill station of Maharashtra and a hot honeymoon destination for newlyweds. I was the summer capital of Mumbai during the British Raj. I present some of the most beautiful views of the Western Ghats and have charmed people since time immemorial. I am at my stunning best during the cold winter months from November to January. You know that I am an extremely eco – sensitive hill station in India? Yes I am Matheran, located in the Raigad district of Maharashtra. I am not only the smallest hill station in India but also the only automobile free hill station in entire Asia. My name, Matheran, actually means ‘forest on the forehead’. I attract tourists and nature lovers from India and many other countries in the world. You should pay me a visit at least for once for stunning views of the Western Ghats. Located just few kilometers away from Mahabaleshwar in Satara district I am Panchgani. I am an enormously popular hill station surrounded by five villages. The five hills Panchgani that surround me are volcanic plateaus, and I am the second highest volcanic plateau in the Asian continent, post the Tibetan Plateau. I am the most populated twin hill station in the Western Ghats of the Maharashtra. Situated just 80 kms from Mumbai and 70 KM from Pune, people just need an excuse to visit me. Situated in the Bhor Ghat I attract tourists from various parts of the country. There are various sightseeing points attracts tourists at Lonavala, especially Bushi Dam in Monsoon. In the eastern limits of the Sahyadari ranges, I dwell in the most unique topographic region. My landforms are spread throughout and have a charm which is eternal. With a subtle temperature, my ambiance supports soothe. I am Mhaismal. Ranging between 70 Celsius and 320 Celsius, I have always has a comforting environment to offer my tourists. Valleys, sylvan surrounding as well as hilly terrains make me a place with the best attributes to visit in Maharashtra. I dwell near Marathwada provincial division. I am also proud of my possession of the Shiva temple and other cultural remnants. Managed through the joint efforts of Maharashtra government as well as forest department, tourism is well supported too. I am Chikhladara. Wrapped with abundant of wildlife, lakes, waterfalls, scenic natural vibes as well as distinct velvety mist full of forests, I am a summer retreat for many of those travellers out there. My climate is breezy all year round due to its natural viewpoints. I have places like Melghat Tiger Project, Pandit Nehru Botanical Gardens and Tribal Museum around me are mysteriously varied with flora and fauna. Also I hold within me some really huge forts like Gavigad and Narnala Forts which are yet another way to unfurl the secrets from the ancient times. Hiking with your safari best friends and me, this monsoon is a great idea to consider. I am a temple. My name is Bhimashankar. I have a Jyotirlinga shirne within me. This is the reason I have a renonwed list of devotees who visit me quite often. 50km from the northwest of Khed in Pune, I lie with all the serenity and compose. I was built by the Pandav brothers in one night during the time of their exile. I have the beautiful and huge spread Ghat region of Sahyadri hills around me. If you are planning to visit me, then the best time is between August and February to avoid any extra heat and rusting summers. Trekking enthusiasts can visit me during monsoon and decide upon moving through the hills once done with the prayers. The lush hills near Kolad and the value added Mulhi Dam, my proud companions. I am Tamhini Ghat who dwells near Pune opening the doors to flushing waterfalls and tricky hilly valleys combined with streams and small ponds in between. I am visited by tourists who are Goddess Vanjai devotees as well. Hidden within my dense canopies is her temple that tells varied stories to the visitors. Palse is the waterfall which makes be blush and is responsible for the large crowd which enjoys this morning view in the early onset of monsoon, every year. Close to Mumbai, you can reach me via Aamby Valley as well. 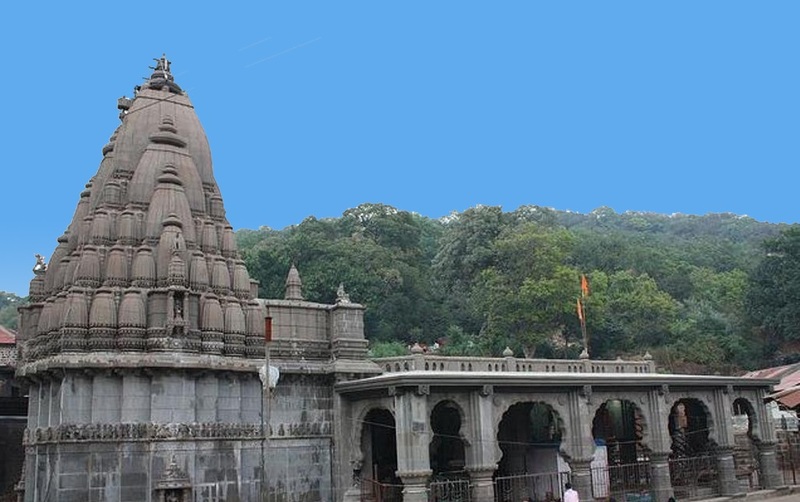 I am a temple you should visit if you have planned your trip through Panchghani and Mahabaleshwar. My name is Wai. With 100+ temples I am also called the Dakshin Kashi, as I attract as much as devotees in form of travellers and enthusiasts just like in Kashi Vishwanath. Oh, wait I am also a favorite spot for many Bollywood makers to shoot for. I, hence, am a pilgrim spot which has paintings as well as stucco sculptures. I am also called the Viraatnagari because of the sojourn stay of Pandavas during the reign of King Viraat. I am surrounded by forts viz. Pandavgad, Kindergad, Kamalgad, Chandan-Vandan etc which again gives a high to the travellers to explore deeper. Situated to the south of Chiplun, I am one of the many favorites on the Konkan coast. I am situated in Ratnagiri. I have a 400 year old Ganapati idol in the temple in me which faces the west unlike others facing east. This temple is called Swayambu. I am spread all along the Konakn coast with marvelous beaches which attracts scenic lovers. I am small town/city with less than 100 residents living inside. With my rich flora I can show off really good amount of mangroves, palm and coconut trees to the tourists with clean beach waters to offer. I am the king of the Maharashtra beaches, I am Alibaug. With coconut trees lined up along the sandy beaches, most pleasant weather conditions and photogenic views all. True to my fame you are ensured of a royal treat every time you come to see me. I will rekindle your senses with my unsoiled and pallid beaches, clean waters and fresh air and will also mesmerize them with the riot of colors that takes place in the sky with the sunset. If you haven’t visit me you haven’t visited the best beach of Maharashtra. Located in Malvan Taluka of Sindhudurg district Maharashtra, I am Tarkarli. I am one of the well-known beach destinations of Maharashtra. Harnai-Murund is what I am fondly called by the tourists. I am made of twin villages of these names situated in Ratnagiri district. Vast and gorgeous seashore is adorned by me who attracts a lot of beach lovers. I have a temple which is known for its intricately carved pillars and slabs. Also with wide spread foliage and coastlines along with them, I am a serene choice overall. I have Deepmala, a six layered temple situated just in front of me. I am a famous name with Bharat Ratna winners by being their hometowns as well. Near the Konkan Railways, I am an easy fetch. I am Velas Beach located in the Ratnagiri district. With tall and green mountains from all the sides, I am covered with a good coastline as well. I am great place for the cultivation of cashews, beetle, buts, rice and mangoes since the ancient times. My upcoming Turtle Festival Beach is awaited my many for 2017. I am found filled with the peaceful presence of the sweet little creatures like turtles. If you choose me, you being a true traveller don’t miss out places Diveagar, Shrivardhan, Guhagar, Hedvi and Bankot Fort. Cherish the typical Konkani cuisines as well as restaurants here at once. On the Konkan Coast, I reside in the form of beautiful white sand beach between the Vashisht River and the Jaigad Creek. With the shades of Suru trees and Vyadeshwar temple situated besides me, I, Gurahar, am a complete package of adventure as well as pilgrimage. With many sea food restaurants around, I can be a joyous center of water sports, and banana rides. One of the popular places in Maharashtra, I am a destination that stands as a comprehensive beach town for the holiday lovers. A fantastic sightseeing option that I am, you can even visit the Anjanvel Lighthouse which is just 10 km away from where I stand. Away from the chaotic lifestyle visit me. I am Shiroda Beach. With the ocean waves lapping with a windy rhythm, I am a gorgeous place situated on the Konkan Coast. Majestic hills guarding me, I am the life of Sindhudurg. I hold historical importance as well. With a bonus of Goa being just 7 km away from where I am seated, the culture of both Maharashtra and Goa can be seen in my people. Incomparable beauty of my beach is what keeps the life of the place alive with more and more tourists increasing every year. Konkan and Goan food is the plus point of the cuisine culture, here. With a myriad range of flora to offer and a thrilling adventurous experience to talk about, I have a wonderful time to offer the travellers who visit me. I am Radhanagari Bison Sanctuary. Handled by the government of Maharashtra, I am a noted sanctuary for all kinds of diverse wildlife which I possess. Giant squirrel, Mouse Deer, Barking deer, Leopard, and Tiger are just some of those many whose voices echoing in my surroundings. I provide a safe habitat for these gorgeous creatures and also give the wildlife enthusiasts a chance to live their wild lives. Bhagovati and Dudhganga are the two rivers which flow near me. I am a manmade sanctuary built for the welfare of Sangli’s flora and fauna. My name is Sarageshwar Sanctuary. With cultivations and fauna developing inside me, there is uproar of tourists visiting me. With a huge landscape covering deciduous as well as thorn trees, huge number of mammals and insects, I am on the peak of visitors between August and February. I am known for the group of peacocks which flutter inside me developing an interest among the tourists. The Krishna River further accentuates the fascination as it flows just besides me through the sugarcane and grapevine fields. I am Melghat Tiger Reserve located in the Amravati district which is situated on the border of Madhya Pradesh and Maharashtra. I was one of the first 9 tiger reserves which were notified as a part of Project Tiger movement. I am situated near the huge mountain ranges of Satpura. Also around me I have the famous Chikhaldara hill station, Gavilgad fort as well as some really good waterfalls. The spectacular landscape as well as the awesome weaves of the Sipna River is a gorgeous way to spend some leisure and quality time with my natural womb. Bird watch enthusiasts can also have a really great time with me, if you have a good guide along with you. I am a small reserve wildlife sanctuary named Nagzira, situated in the Bhandara district. With astonishing and ravishing varieties of insects along with other mammals, especially Tadoba-Andhari and Kanha Tiger Reserves are my belongings. With a soothing ambience all year round, the temperature ranges between 6.50 C and 400C. Hyenas, sloth bears, Jackals, Sambars and Gaur are the major population in my little worldly wildlife. Rainy season is not an acceptable season for tourists due to high wind velocity during that time of the year. The nearest railway station being Gondia, it is really easy to reach where I reside. There are jungle camps as well as eco-friendly lodges built up for people to stay and rest. I am a wildlife park situated on the Konkan Coast with refreshingly green ecology along with an eye pleasing collection of birds to watch out for. My name is Karnala Bird Sanctuary. I am just a 50 km drive away from the city of Mumbai. The birds which I engulf are taken care of really well. Students and researchers are the tourists which visit me. Also travellers who are inclined to archaeology also can visit the Kamala Fort just nearby the ghats along with scenic views of Sahyadris. Even within the Karnala fort one can witness unique species of birds as visitors. I, Raigad Fort am the king of all forts of Maharashtra. I was built by the Maratha king Chatarrpati Shivaji Maharaj in 1674. Situated in the Sahyadri mountain range you need to climb around 1737 steps to reach at me. You can also easily reach to me through an aerial tram. The number of tourist and visitors visited me every year to see my beauty and experience the history. Situated in the Junnar tahsil of Pune, I am Shivneri Fort – the birthplace of Chhatrapati Shivaji Maharaj. I am honored to witness the birth of Shivaji on 19th February 1630. I still cherish the moments when Shivaji used to play here during his childhood. I am Pratapgad Fort situated near the hill station, Mahabaleshwar. Also known as Valour Fort, I am known for being one of the largest forts in Satara. I was built by Chatrapati Shivaji. Just surrounding me are other places which will find an interest among the travellers like the Bhavani temple and Afzal Khan’s Tomb. My site is famous for the war which took place on my grounds called the Battle of Pratapgad. I have two halves where the first upper crest of the hill is the front part which has buildings and temple of Lord Shiva within. While the lower half is made of towers and pillars like more than 12 meters down. My name is Korlai Fort and I am also known as Morro or the Castle Curlew, fondly. I was built in the year 1521 by the Portuguese on the way to the Revdanda Creek and I have a companion there as well named Chaul. I have a deep history related to my existence which goes back into time. I am more than 2000 feet long wherein I have like 305 battlements for guns. With 11 entry gates, and huge pistol shot my walls have various enclosures made back then for better protection during battles. With unassailable attributes on my pride history, I am a 14th century fort from the city of Devagiri. My name is Daulatabad Fort. I am situated near Aurangabad. Earlier I had posh caravan routes and uplands which is now a village and a tourist spot in Maharashtra. I am a triangular shaped fort which came into existence due to efforts of the king of 1187 named Bhilan. My area entitles to have been associated to number of historical stories during the Yadav Dynasty that rules here. I have huge slopes on the hills where there is fire which is kept burning continuously. Situated in the small town named Vasai, I am also known as Bassein Fort. My connection with the Konakni tribe is very ancient. Extending from south Gujarat to Vasai, my roots are too spread. I am an erstwhile Portuguese territory. I am a fort of the National importance and I do come under the Archaeological Survey of India. With my city having more developments in the form of Vasai-Virar, the land is expanding attracting more and more tourists to visit me. I belong in the Sahyadri ranges near a small city called Roha. People responsible for my creation would be King of Shilahar as well as the Nizam of Ahmednagar. As I was made in a hurry my name is Avchitgad where avchit means hurry. With two cannons and two bastions my space is worth a proof of battle and war times. Also the devotees of Pingasai Goddess also pay me a visit due to a temple of the goddess situated on my top.